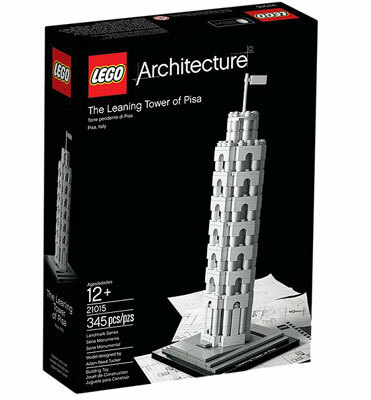 Hard to judge whether the Lego Architecture series is aimed at children or adults. More likely that the models, including The Leaning Tower of Pisa, are aimed at both. 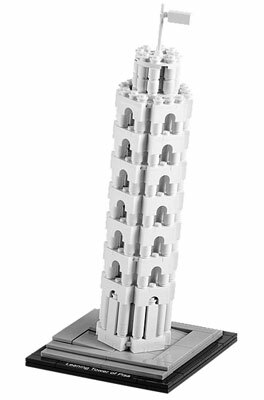 This is perhaps one of the more obvious and indeed simple designs (compared to the previous Frank Lloyd Wright-designed Imperial Hotel certainly), with the iconic tower standing around 25cm tall and sold with a booklet that gives design and historical details on the building in English and Italian. Officially it’s for ages 12 and up, although you might get away with a little younger if mum or dad are helping out. Price is £29.99.